Our guide to Seattle will help you find the best vegetarian restaurants in Seattle Washington. Seattle is surrounded by water and mountains, and the city's attraction lies in the stunning views seen from the many vantage points throughout it's several neighborhoods. The awesome height of Mount Rainier is truly appreciated when seen from within the city, as it puts skyscrapers to shame from 200 miles away. These are views which indicate Seattle's easy access to outdoor recreational activities throughout the year. You will find plenty of lodging fitting every description including bed and breakfasts, neighborhood motels, suites, inns and downtown boutique and high-rise hotels. Seattle offers a full range of arts, cultural and sporting events and attractions, and an abundance of shops and restaurants. You will probably wish to sample these in an exploration of its downtown historic district and surrounding neighborhoods. There are tons of great vegetarian restaurants in the city of Seattle, our city guide will help you find the best vegetarian restaurants. You may have a hard time deciding what to do in Seattle, but we make your decision easy. This Pacific Northwest city shines as one of the most vegetarian-friendly cities in North America. Seattle is a hotbed of vegetarian goodness with more then forty restaurants in the greater Seattle area that do not serve any meat, and many of which are also vegan restaurants. 10330 Aurora Ave N, (206) 528-6161 - Good Guys Pizza is a vegetarian restaurant located in Seattle WA. 1121 NE 45th St, (206) 524-4332 - Araya's Vegetarian Place is a vegetarian restaurant located in Seattle WA. 1128 S Albro Pl, (206) 763-2696 - Squid and Ink is a vegetarian restaurant located in Seattle WA. 1228 S Jackson St, (206) 726-8669 - Loving Hut is a vegetarian restaurant located in Seattle WA. 1400 34th Ave, (206) 325-1126 - Cafe Soleil is a vegetarian restaurant located in Seattle WA. 1429 12th Ave, (206) 322-7011 - Plum Bistro is a vegetarian restaurant located in Seattle WA. 1515 14th Ave, (206) 329-5461 - Porchlight Coffee is a vegetarian restaurant located in Seattle WA. 1554 E Olive Way, (206) 568-2343 - In the Bowl is a vegetarian restaurant located in Seattle WA. 1625 W Dravus St, (206) 283-9030 - Pandasia Restaurant is a vegetarian restaurant located in Seattle WA. 1718 N 45th St, (206) 632-1484 - Jhanjay Vegeterian Thai Csn is a vegetarian restaurant located in Seattle WA. 1916 Pike Pl, (206) 441-4544 - Sabra Mediterranean Sandwich is a vegetarian restaurant located in Seattle WA. 2234 2nd Ave, (206) 728-6262 - Mama's Mexican Kitchen is a vegetarian restaurant located in Seattle WA. 2301 N 45th St, (206) 545-9000 - Kabul Restaurant is a vegetarian restaurant located in Seattle WA. 300 Broadway E, (206) 860-1818 - Julia's Restaurants is a vegetarian restaurant located in Seattle WA. 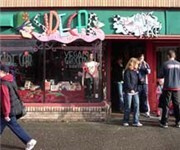 324 15th Ave E, (206) 325-6429 - The Cafe by Hillside Quickies is a vegetarian restaurant located in Seattle WA. 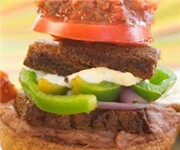 3400 Fremont Ave N, (206) 633-4141 - Costas Opa Greek Restaurant is a vegetarian restaurant located in Seattle WA. 345 15th Ave E, (206) 325-1010 - Teapot Vegetarian House is a vegetarian restaurant located in Seattle WA. 3508 Fremont Pl N, (206) 633-5169 - Silence Heart Nest is a vegetarian restaurant located in Seattle WA. 364 Roy St, (206) 282-6616 - Bamboo Garden is a vegetarian restaurant located in Seattle WA. 4106 Brooklyn Ave NE, (206) 632-3037 - Hillside Quickie Vegan Sandwich Shop is a vegetarian restaurant located in Seattle WA. 4247 University Way NE, (206) 633-1903 - Flowers Bar & Restaurant is a vegetarian restaurant located in Seattle WA. 4537 University Way NE, (206) 547-6500 - Vegie Vegie Restaurant is a vegetarian restaurant located in Seattle WA. 4542 California Ave SW, (206) 935-9443 - Maharaja Cuisine of India is a vegetarian restaurant located in Seattle WA. 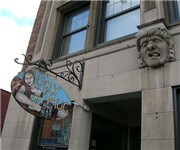 1309 NE 43rd St, (206) 547-3219 - Ugly Mug Cafe is a vegetarian coffeeshop / cafe located in Seattle WA. 1903 N 45th St, (206) 632-1828 - Boost your health with fresh squeezed smoothiesand organanic lunches featuring the likes of nectarine soup, plus muffins and bagels. There are plenty more vegetarian restaurants in Seattle. See all vegetarian restaurants in Seattle Washington.